Choosing a Magento theme can, at first, seem like a bit of an expedition. Each one luring you in like a genie beckoning you make a wish to only discover that theme is not quite what you’d wished for. Stumbling upon ‘the one’ only to discover it’s already taken by a rival. We’ve all been there. Finding and selecting the right design template is integral because if you get it wrong, your Magento site could be failing at the first hurdle. Failing to identify a theme or a template’s strengths and weaknesses can often lead to potential problems further down the line. Therefore, ensuring the theme you choose is fully flexible will enable you to make sudden changes or fixes without hindering too much else along the way. It must also be flexible in terms of the responsiveness of the site. If the design is not responsive, all of your hard work will be pretty much lost. Remember, just because it looks pretty on your screen, it doesn’t mean that it will necessarily look the same on someone else’s smaller tablet, for instance. The more modules your Magento theme possesses will allow your site to be more extendable, offering up infinite adaptations. 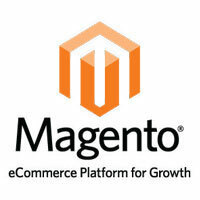 Although this expands your Magento store to new dizzy heights, make sure you employ small resources on those new pages. Make sure your images are optimised and videos are compressed, in other words. Finally, ensure the template you select has a professional layout. Make certain its right for your business and reflects your brand accordingly. And check that it’s geared up to be more SEO friendly whilst you’re at it. Just take a look and have a read why we’ve suggested this beauty. Go on, click the ‘Live Preview’ tab, you know it makes sense. Thousands of other satisfied customers share the same notion that Porto offers a quick and easy set-up, fabulous flexibility, easy configuration and delightful design quality. We selected this one as a great starting point for custom projects. It’s fully responsive design means it’s not only suitable for just about any type of store, but it’s extremely customisable too. It also has an advanced admin module (if you like that sort of thing). Edge. Cool name right? We sing it’s praises similar to those of Ultimo, yet Edge just has that Edge, doesn’t it? Check it out, you’ll see what we’re getting at. Granted, the name isn’t as fetching as some of the others, but don’t be fooled. Shopper packs power and is as flexible as a yoga instructor. It has some nice features such as the ajax price slider, custom grid modes, revolution slider and much more. Hopefully, you find yourself a winner within one of our suggestions. If you don’t, make sure you remember the things to look out for before deciding upon your perfect Magento theme. If you’d like further guidance and assistance with any Magento related matters, please get in touch with Studioworx either via email (info@studioworx.co.uk), telephone (+44 (0)1482 659362) or the website (https://www.studioworx.co.uk).